People on a pier in the fish market in Sittwe. 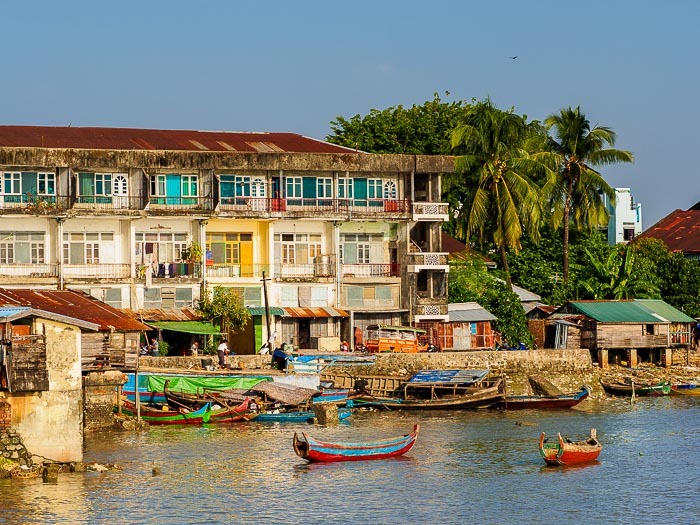 Sittwe is a small town in western Myanmar (Burma). I think it's about as close to the end of the road as you can get and still be in Myanmar. Foreigners can't even get into Sittwe by road, we have to fly - the Burmese government doesn't allow us to travel by road or boat from Yangon to Sittwe. Traveling in Myanmar can be difficult if you're used to the well developed infrastructure in Thailand or Vietnam or even Laos or Cambodia. The country is still emerging (albeit at breakneck speeds) from 50 years of self imposed isolation. In that time, very little was spent on infrastructure. The roads are in terrible shape. The power grid barely functions. Internet access is spotty (and I'm being generous on this) and cell phone coverage is very limited. The further you get from Yangon, Mandalay, Naypyidaw or other big cities the more difficult conditions become. Sittwe is very far from a big city. 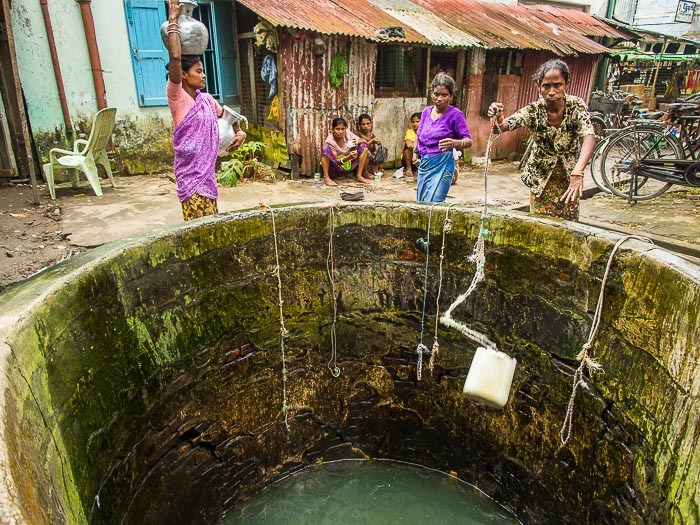 Women draw water from a well in a residential neighborhood. Power in Sittwe is problematic. It's better to expect you won't have electricity than to count on it. Some of the buildings, those that cater to foreigners (some of the hotels and restaurants, the bank etc) have generators to provide power but most of the city gets power for only a few hours a day. Most of the city does not have running water. Instead residents walk to wells and haul water up in buckets. Cooking, even in restaurants, is done over wood fueled fires. Sittwe is not a place you go to by mistake. 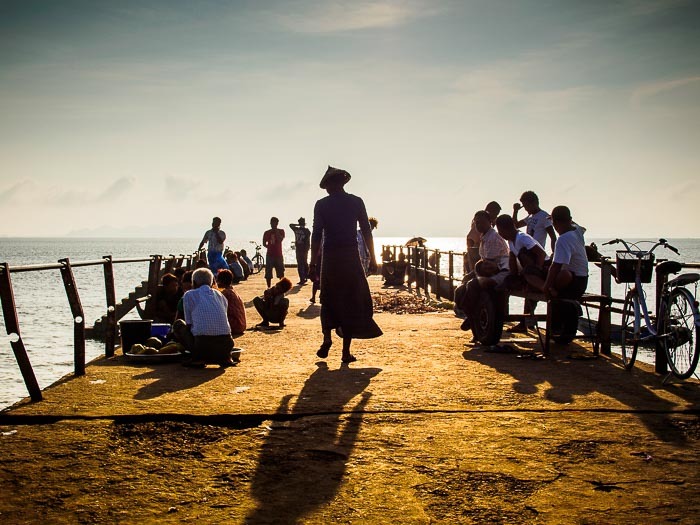 Despite, or maybe because of that, Sittwe is hauntingly beautiful. 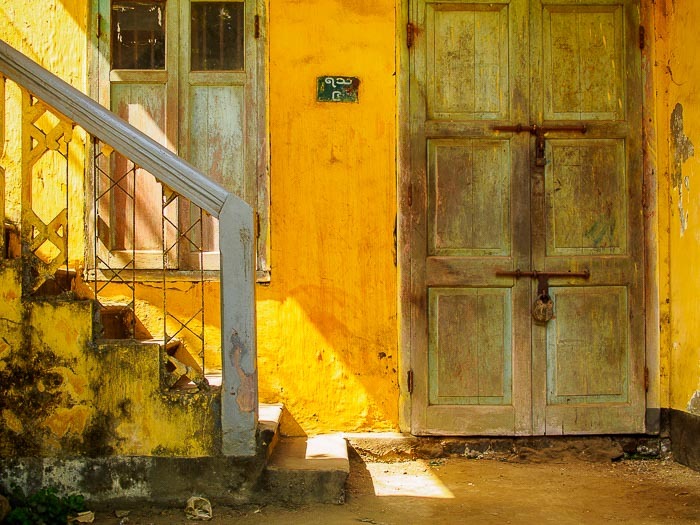 Door and wall of a Sittwe home. There's a ramshackle feel to the city. The sort of beauty tourists find in ramshackle. But then tourists don't have to live in it. They pass through. The "New Market" on Strand Rd in Sittwe. Outside of the town, everything is green, colors are so intense it almost hurts to look at them. Greens are unrealistically green, the sky (on clear days) is deep blue, the light breathtaking. 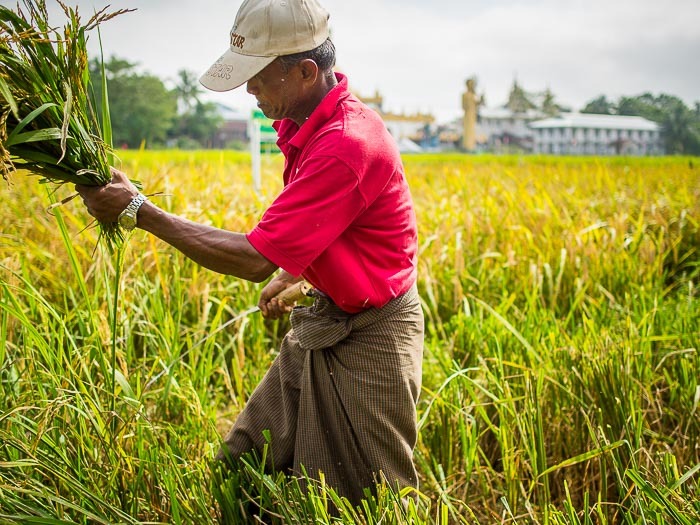 Harvesting rice near a Buddhist monastery in the countryside. 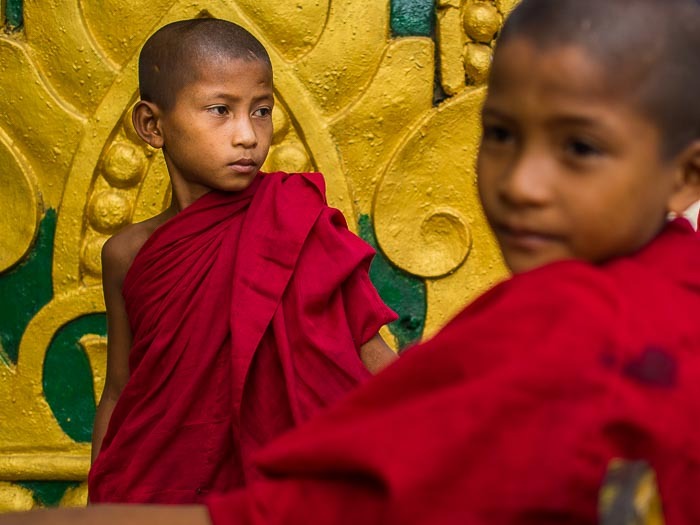 Buddhist novices (young monks) in Sittwe. 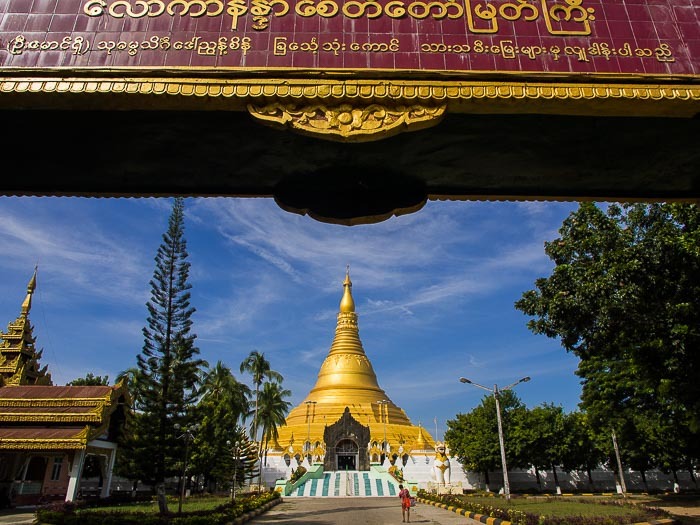 The entrance to the largest pagoda in Sittwe. I used my spare time in Sittwe to explore the city. 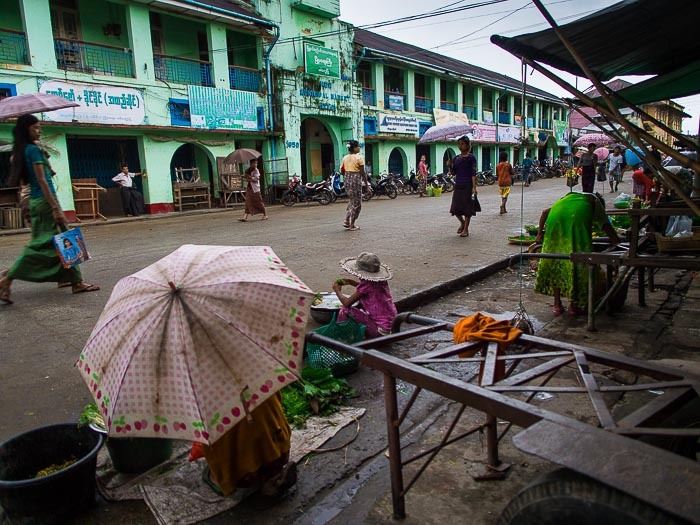 There are more photos from Sittwe in my archive or available from ZUMA Press.